Delpo was imperious from the off, breaking the unseeded Khachanov in the first game of the match and then winning his own service game to love. 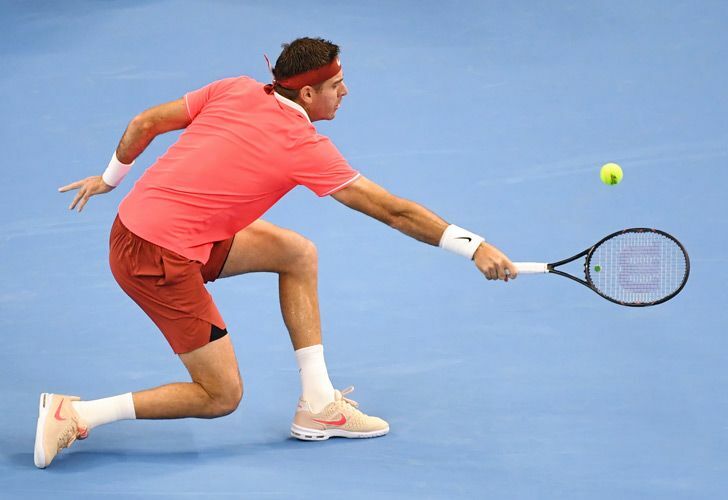 Juan Martín del Potro avoided the fate of third seed Grigor Dimitrov to surge into the quarter-finals of the China Open and seal his spot at the ATP Finals on Wednesday. The towering Argentine top seed, enjoying one of the best seasons of his injury-blighted career, dismissed Russia's stubborn Karen Khachanov 6-4, 7-6 (7/4). Victory means that Del Potro has qualified for the season-ending ATP Finals for the first time since 2013, joining Rafael Nadal, Roger Federer and Novak Djokovic in London in November. It underlines the 30-year-old's return to the men's elite after years of wrist problems that threatened to destroy his career. The world number four faces Filip Krajinovic of Serbia in the last eight on Beijing's outside hard courts. Bulgaria's Dimitrov was on the end of a major shock in the Chinese capital, totting up nine double faults in a three-set defeat to Serbian qualifier Dusan Lajovic. Lajovic meets Britain's fifth seed Kyle Edmund in the quarter-finals. Del Potro was imperious from the off, breaking the unseeded Khachanov in the first game of the match and then winning his own service game to love. Del Potro, losing finalist at the US Open last month, finished off the first set with an ace to highlight his superiority. Khachanov, ranked 24th in the world, forced the second-set tie break with a break of Del Potro's serve but was always playing catch-up after going 3-1 down. Del Potro sealed the match -- and his ATP Finals place -- with his 11th ace. Javier Mascherano, the Argentine international footballer formerly of Barcelona and now playing in China, was in the crowd to see his countryman and friend. In the women's draw, number two seed Caroline Wozniacki rounded off a polished display with an ace in a 7-5, 6-3 victory over Petra Martic of Croatia. The Dane faces Estonia's Anett Kontaveit in the last 16. Seventh seed Karolina Pliskova of the Czech Republic set up a meeting against China's top player Wang Qiang.